The 18pcs Bbq Tools Set is luxcury and upscale BBQ Tools Set including spatula,tongs, fork, basting brush,knife, Cleaning Brush, skewers, temperature fork, bottle opener, light all in a pp case.This is a perfect gift for camping lover!Premium quality stainless steel material needn`t worry rusts or breaks, and is dishwasher safe. The barbeque sets is durable and can handle various needs for kitchen cooking or outdoor grilling. 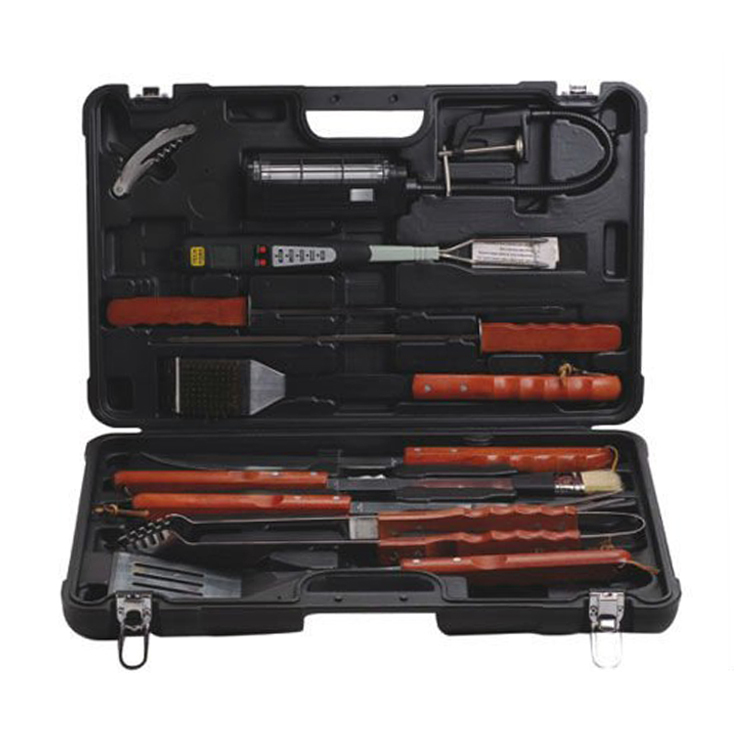 Looking for ideal Slap-up BBQ Tools Set Manufacturer & supplier ? We have a wide selection at great prices to help you get creative. All the Slap-up Bbq Tools with Digital Fork are quality guaranteed. We are China Origin Factory of Upscale Bbq Tools Set. If you have any question, please feel free to contact us.